Lost Tribe is a rap duo coming out of Cleveland, OH consisting of Goldie & Tropp. Jordan “Goldie” Odom born July 12, 1992 raised on the 173 block of St.Clair. De’Sean “Tropp” Miller born August 16, 1991 raised on Wymore in East Cleveland. Prior to becoming a group both were solo artist. “Goldie” has been around music due to his cousin Rich Paul (Lebron James Sports Agent) managing local Cleveland talent Royal Camp back in 2009, which grew his passion for music influencing him to create music of his own. Goldie then built his own studio in his house and started recording himself. Soon after, Goldie dropped his first video which brought all the known Cleveland Artist and media to his social media. “Tropp” started doing music in his early teen after his mom moved him from East Cleveland to the Lakeshore area as a kid who always had something to prove music was just a dream he believed in and knew he had to show all the naysayers he would be able to make beyond his city after releasing his first song and going a lot of attention from not only Westropp friends but all surrounding neighborhoods he knew music would be his thing. Both artist having undeniable talent individually. The two linked up 2014 and began working as a group by the beginning of 2015. After delicately working on their creative process they decided it was time to release a record. Their first real single “iPhone” which became Cleveland’s summer sensation from the “Im From Cle” blogs to the streets and z107.9 daily rotation! The record not only broke their new image as a group but the new uptempo, aggressive and energetic sound. “iPhone” itself brought upon many local features and notoriety from all the “need to knows” in Ohio Northern region. By the end of 2015 LostTribe Forever released their next record “Worry” a great followup to captivate a even bigger crowd, everyone in world “ain’t tryna worry about money!” From Cincinnati to Cleveland you heard the record in your speakers. Nonetheless, that crowd kept Lost Tribe working consistently, releasing videos to “I Wanna” “Ego” and “Double O” introduced their talents to the Atlanta urban culture, landing them with inquiries from the labels & several features from the big industry names and landed a performance a Cleveland’s z107.9 Summer Jam! 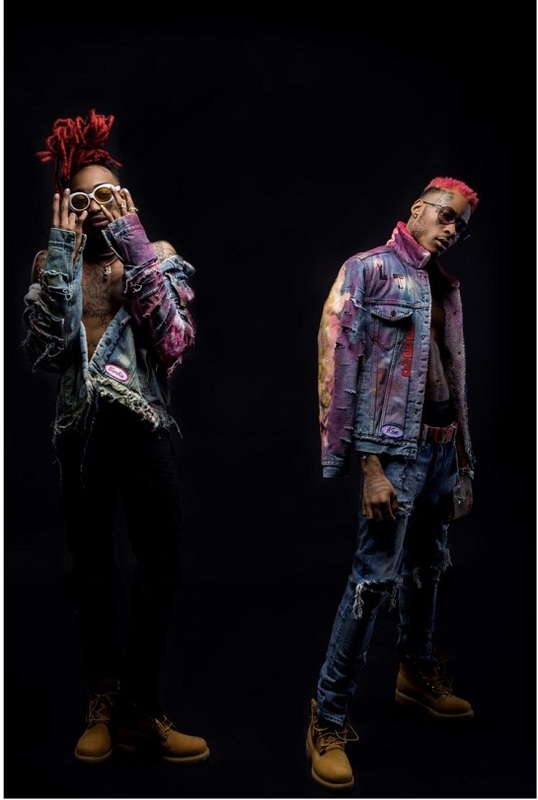 Soon after, the duo kicked off 2017s’ first quarter with their guy RichTheKid with the single “Johnny Dang” From RichTheKid, huge performances at world famous SXSW festival, a feature from their ole time gang brothers Trippie Redd & Lil Wop! Now as late 2017 arise Lost Tribe will be dropping a single off the highly anticipated mixtape self titled “Lost Tribe” stay hungry, stay 333!